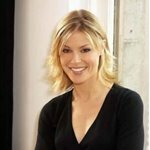 Julie Bowen (born Julie Bowen Luetkemeyer on March 3, 1970) is an American actress. Bowen was born in Baltimore, Maryland to Suzanne Frey and John Alexander Luetkemeyer, Jr. She first attended St. George's School and went on to Brown University, majoring in Italian Renaissance studies. In her junior year, Bowen spent a year abroad in Florence, Italy. During college, she had roles in Guys and Dolls, Stage Door and Lemon Sky. Before graduating, Bowen had the lead role in the independent film Five Spot Jewel. Among other places, Bowen studied acting at the Actor's Institute. After graduation, Bowen had a role in the soap opera Loving and made her primetime debut on an episode of the college drama Class of '96. She also had the lead role in the 1994 television film Runaway Daughters, playing opposite Paul Rudd. In films, Bowen played the love interest of the title character in Happy Gilmore. Roles in other films include, An American Werewolf in Paris and Multiplicity. On television, she has had guest roles on Party of Five, Strange Luck, and a recurring role on ER as the girlfriend of Dr. Carter. On the sketch comedy program Stella Shorts, Bowen played an angel in the "Raking Leaves" episode. Perhaps Bowen's best-known role was on the television series Ed, where she played high school English teacher Carol Vessey and the love interest of the protagonist, Ed Stevens. Since then, Bowen guest starred as the character of Sarah Shephard in five episodes of Lost. In the fall of 2005, Bowen joined the cast of Boston Legal, playing attorney Denise Bauer. Her character has become one of the featured roles on the comedy-drama series. Bowen has recently become the new spokesmodel of Neutrogena, advertising the pure glow range. Bowen is the middle child of three sisters. Her older sister, Molly Luetkemeyer, is an interior designer who has appeared on Clean Sweep, and her younger sister, Annie Luetkemeyer, is a doctor at UCSF in the HIV/AIDS Division. Bowen married Scott Phillips in September 2004. They welcomed their first child, Oliver Mclanahan Phillips, on April 10, 2007.